I don’t know about you, but I find it so easy to overlook the fact that Jesus is not only with me when I’m suffering, but he’s suffering with me. He loves me so much that it grieves him to see me grieve. But when I do remember that, it transforms the experience entirely. Not only is there a balm to my suffering, but I actually find a peace there that can only be found in the hard times. Because Jesus is so intimately with me in a way that is so unique to those times. It is beautiful; it is profound. It’s not easy to have this mindset. We’re built in a way in which we crave happiness. 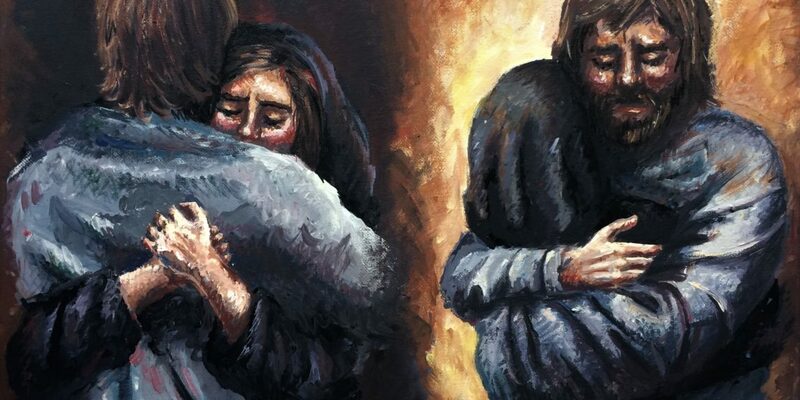 But next time you’re struggling…try to imagine Jesus embracing you and suffering with you. 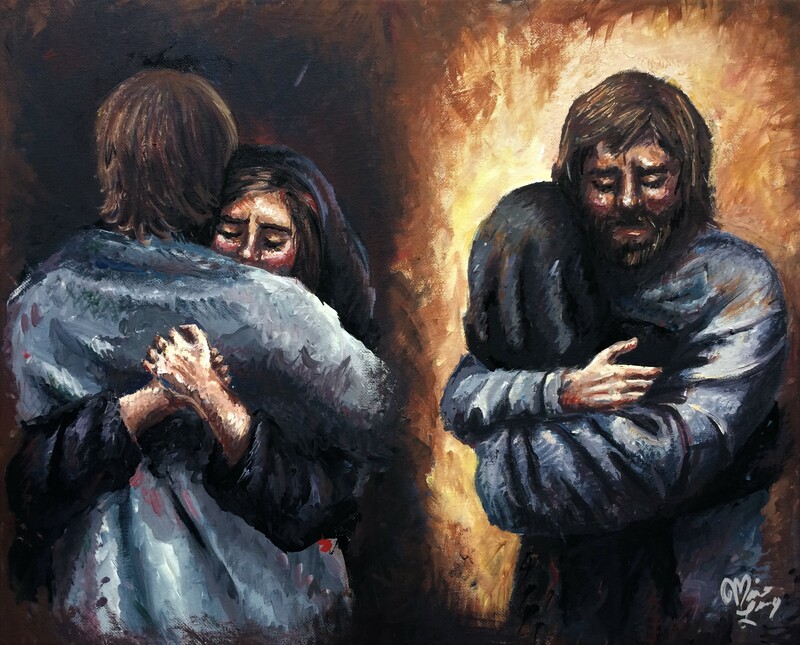 He wept with Mary. Let him weep with you. It is the most bonding of experiences with him. I painted this scene thinking about how dark and heavy suffering can feel. We feel alone and maybe abandoned by God. But if you think of it with Jesus embracing you, you realize there’s so much light there. Even if your experience is darkness, if you let Jesus suffer with you, there’s light, so much beautiful light.